I bought copy of When We Speak Of Nothing by Olumide Popoola purchased from Atlantis Books Oia, Santorini. Arundhati Roy published her second novel 20 years after releasing The Gods of Small Things. I am a huge fan of Abdulrazak Gurnah, I have read his books By The Sea and Admiring Silence which I highly enjoyed and recommend. His latest novel is "Gravel Heart". again with "Welcome to Lagos". Teju Cole, author of one of my favourite books Every Day is for the Thief seems to be realising a book each year. Blind Spot, seems to be a combination of words and images. Please, find out before purchasing. Yaba Badoe is a Ghanaian writer, author of True Murder and "Rivals" part of the Anthology African Love Stories edited by Ama Ata Aidoo, her latest novel is "A Jigsaw of Fire and Stars" to be released on the 7th of September 2017. 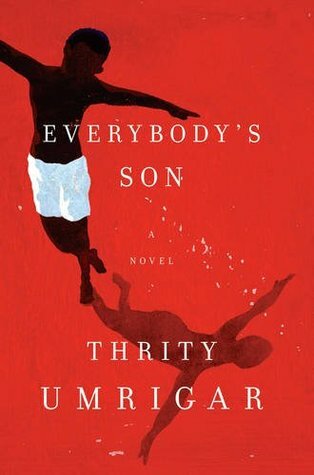 I love Thrity Umrigar's The Space Between Us, She just released a new novel published by Harper "Everybody's Son"
The other novels I cannot comment on as I neither have experience with the writer nor the book. Have you read any of the new releases? Do you look forward to reading them? I'd like to know your thoughts.